Wenzhou Santhai Valve Pipe Fitting Co., Ltd.
All products are with strict inspected before delivery. 2. If product are out of stock , it is 15-25 working days. Q: What is your payment term 9 A: 1. Payment &lt; 1 5 00 . 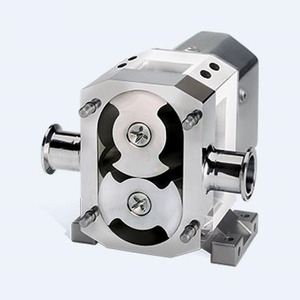 Summarize: Lobe pumps are used in a variety of industries including, pulp and paper, chemical, food, beverage, pharmaceutical, and biotechnology. They are popular in these diverse industries because they offer superb sanitary qualities, high efficiency, reliability, corrosion resistance, and good clean-in-place and sterilize-in-place (CIP/SIP) characteristics. Rotary lobe pumps are non-contacting and have large pumping chambers, allowing them to handle solids such as cherries or olives without damage. Zhejiang Sangtian Fluid Automatic Control Equipment Co., Ltd. The rotating speed can be adjusted according to the delivered medium's physical property. The shaft seal can be designed with packing seal or mechanical seal according to specific working condition. 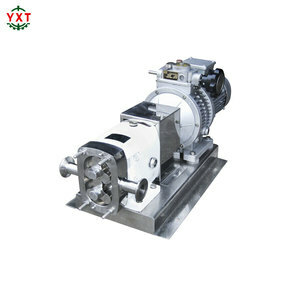 The pump uses high strength, spiral gears and heavy load bearing in order to ensure the pump for long time. Zhejiang Xingsheng Machinery Co., Ltd. The speed regulator changes the speed by manual adjustment, which is safe, reliable and infinitive flow adjustment. But the non-automatic adjustment is also troublesome. Frequency transformed motor + transducer: it realizes both automatic adjusting and infinitive adjustment of flow. Hebei Hengsheng Pumps Co., Ltd. The company located in BoTou Hebei province and has a modern garden-style factory. HengSheng pump as a number of material source market of petrol China and Sinopec. HengSheng is mainly engaged in the production of gear pumps and screw pumps of 33 series and 4500 specification. Flow: 62m&sup3;/h / 272GPM Max. Pressure: 12bar / 174 PSI Max. Working Temperature: 120&#8451; / 248 &#8457; Max. Rev. 5. After to use of special material,may conveying the sludge and sewage containing solid grain of the granular. 10. 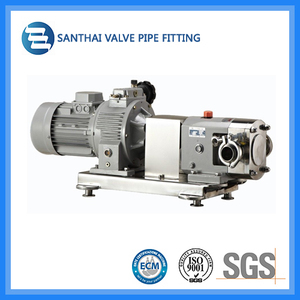 According to user needs,in the pump shell increase thermal insulation and health-grade safety valve. 5. Building industry: corrosion waterproof coating,ceramic coating,paint coating and ceramic material,etc. Wenzhou Kinding Machinery Co., Ltd.
Jinan Vow-Join Machinery Equipment Co., Ltd.
Jiangxi Jingye Machinery Technology Co., Ltd. 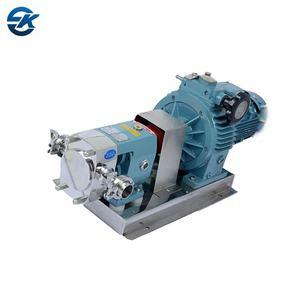 Product Application Stainless Steel Rotary Lobe Pump for Chocolate is suitable for easy foaming material during transportation and conveying high viscosity, high concentration and any medium containing particles. 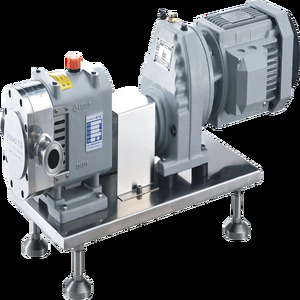 Stainless Steel Rotary Lobe Pump for Chocolate has been designed for use on a wide range of appllications within: Dairy, Food, Beverage, Pharma and Personal Care markets. 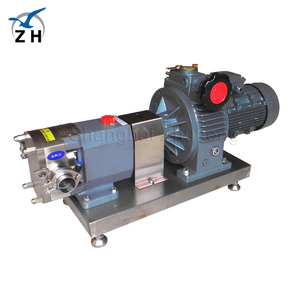 Technique Parameter Stainless Steel Rotary Lobe Pump for Chocolate Material: SUS304 & SUS316L Seal Material: EPDM Max. Wenzhou Deyi Bio-Technology Co., Ltd.
Alibaba.com offers 517 chocolate rotary lobe pump products. About 92% of these are pumps. A wide variety of chocolate rotary lobe pump options are available to you, such as gear pump, single-stage pump, and multistage pump. You can also choose from low pressure, high pressure. As well as from oil, water, and air pump. And whether chocolate rotary lobe pump is metering, or cryogenic. 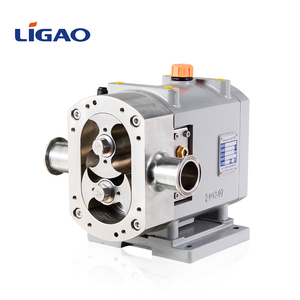 There are 517 chocolate rotary lobe pump suppliers, mainly located in Asia. 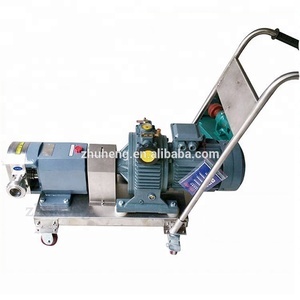 The top supplying country is China (Mainland), which supply 100% of chocolate rotary lobe pump respectively. 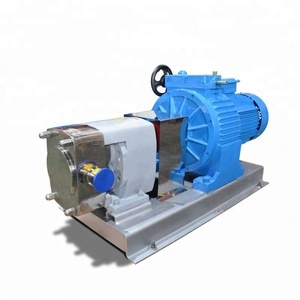 Chocolate rotary lobe pump products are most popular in Southeast Asia, North America, and Domestic Market. You can ensure product safety by selecting from certified suppliers, including 302 with ISO9001, 15 with Other, and 6 with ISO14001 certification.